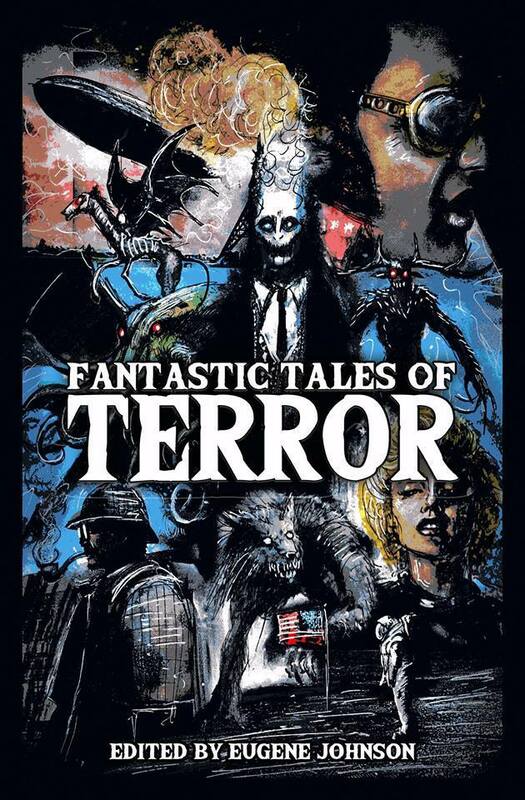 Alternate history takes center stage in Crystal Lake Publishing’s fun and highly satisfying new horror anthology, “Fantastic Tales of Terror”. 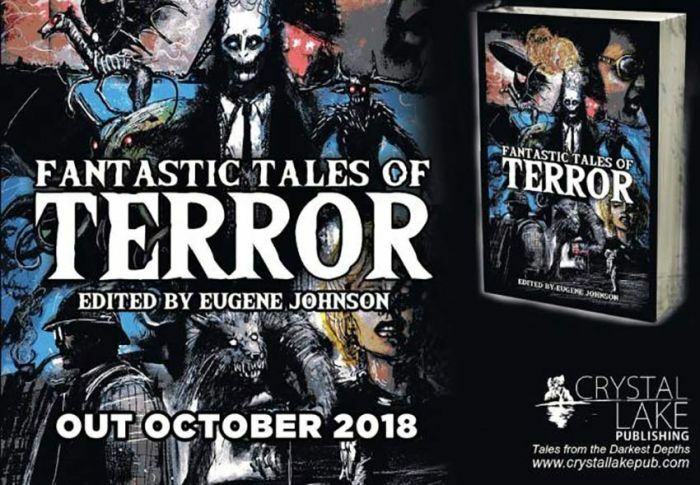 Edited by Eugene Johnson and released by Crystal Lake Publishing, the new anthology Fantastic Tales of Terror combines historical fact and weird fiction to produce a collection of short stories that fans of different genres will surely appreciate. Written by veteran horror actor Tony Todd, the introduction to the anthology promises many “what if” horrors to come, and for the most part the stories deliver on a grand scale. Featuring memorable characters, alternate histories, and reality-bending timelines and narratives, each tale has something exciting, funny, unique, or chilling to offer. 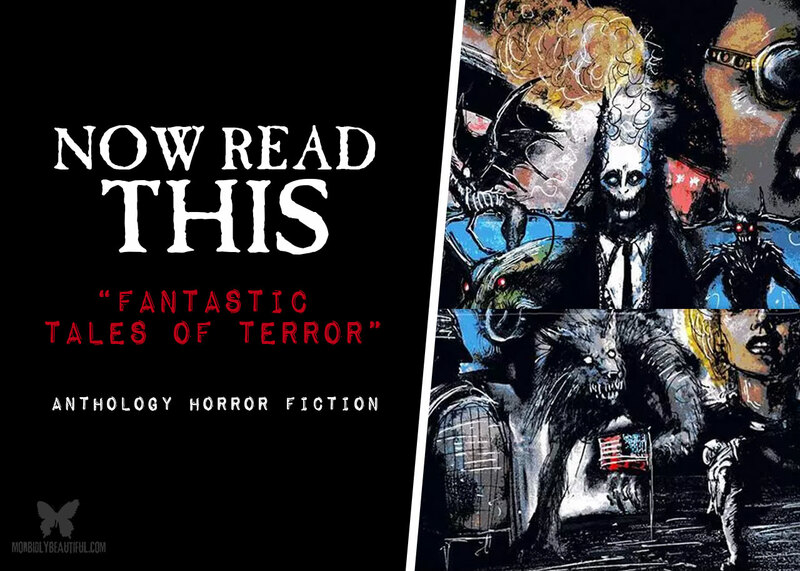 While not all of the historical periods or real-life characters will appeal to every reader, there is so much material to choose from in Fantastic Tales of Terror that no one will be left disappointed by picking it up. The anthology opens with Tim Waggoner’s “The Deep Delight of Blood,” a vampire story that features actor Bela Lugosi as an actual blood-sucker and a newbie vampire named Mike who must learn the morbid tricks of the trade. Waggoner’s is a bloody, morbidly humorous tale filled with allusions to other works within the vampire canon (including Nosferatu, The Lost Boys, and Love at First Bite). The story is the perfect introduction to the anthology and prepares readers for the rest of the collection. Up next is Mercedes M. Yardley’s “Unpretty Monster,” which merges the “real” story of the sinking of the Titanic with hungry vampiric sirens and their lust for human flesh and blood. The title of the next story — “The Tell-Tale Mind” by Kevin J. Anderson — lets readers know that famed Gothic writer Edgar Allan Poe will be making an appearance in the text. But Anderson ups the ante by including alternate versions of famous Poe characters in his story as well (including “Malcolm Fortunato” and “Reginald Usher”), turning the tale into a star-studded mystery of murder and psychological intrigue. This trio of stories begins the anthology on an impressive note — and, fortunately, the fictional wonders only continue from there. Bev Vincent’s “Ray and the Martian” is a delightful interpretation of the events that may have inspired a young Ray Bradbury to become an author of the strange and the fantastic; Christopher Golden’s “On a Train Bound for Home” features legendary magician Harry Houdini (and his famous blindfolds and shackles); Richard Chizmar’s “The Custer Files” is an epistolary story of vampire Indians that fought in the American Civil War; and Cullen Bunn’s “La Llorona” intertwines the life and death of author Ambrose Bierce with the infamous ghost of Mexican folklore. While these, and many of the other stories in Fantastic Tales of Terror, are not particularly frightening, they are clever, well-written, and highly inventive. “The London Encounter,” by Vince A. Liaguno, fits this description as well. In this imaginative telling of movie star Judy Garland’s meeting with a murderous figure from the annals of true crime named “Jack,” the author spins a creative and compelling yarn. Many of the stories that follow are just as good, some darkly comic and others just dark, but all offering insights into well-known figures and historical events. Joe R. Lansdale’s Elvis-Presley-Egyptian-Mummy-saga “Bubba Ho-Tep” features prominently in the anthology, as does Jonathan Maberry’s King Kong story “Gorilla my Dreams” and Michael Bailey’s “Articles of Teleforce,” a found-footage-style story featuring government documents about Nikola Tesla. Neil Gaiman’s David-Bowie-origin story, “The Return of the Thin White Duke,” concludes the anthology in a fun and quirky way, perfect for fans of both the musician and his music. The anthology is well-suited for those interested in genre-bending fiction and historical buffs alike. As mentioned, not every story in this latest offering from Crystal Lake Publishing will appeal to every reader. Some of the tales — including one involving Snow White and another about Buster Keaton — did not necessarily pique my interest. But that distinct variety is exactly why many people are drawn to fiction anthologies; you can flip through this large collection on any given day and choose the type of story that fits your particular mood or curiosity. What is unquestionable about Fantastic Tales of Terror is the creative spark and richly-detailed worlds that every author in the collection brings to the table. 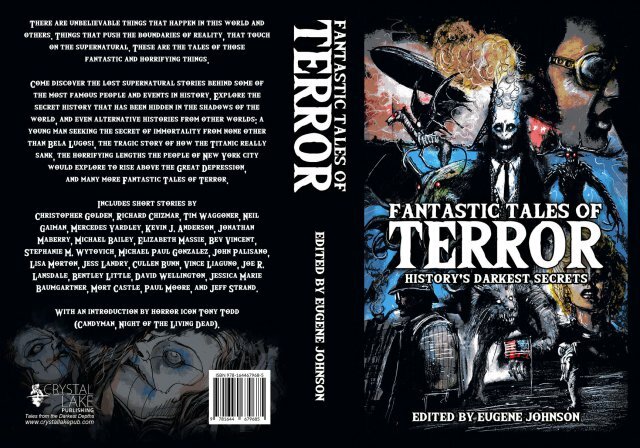 Overall, the diverse subject matter from a lengthy list of talented writers works well here; those hoping for gory or extreme horror will need to look elsewhere, but the majority of readers should be more than pleased with the imaginative spins on historical fact contained within Fantastic Tales of Terror.